One of my brothers work at the local theatre, in the small community we live in. In this theatre, my brother has brought his own collections of movie props, and framed pictures of Hollywoodstars from different eras. When watching those pictures, there was one that caught my attention. I knew I’ve seen that person before, but couldn’t think of any particular movie. I took a closer look on that black and white photograph and a sudden flash appeared in front of my eyes. That female actor resemblance my first wife, nearly like an identical twin! 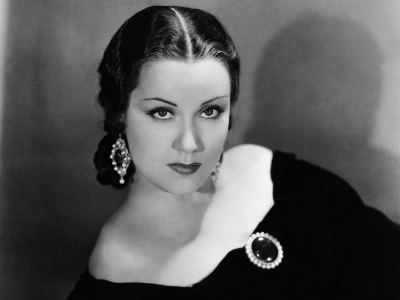 Yes, my first wife looks like Fay Wray, famous for the original King Kong movie from the 1930’s. I’ve heard of that movie, and seen it when I was a child, but never put any attention to the actors. But there is some differences, too. My wife have a little higher cheekbones than Wray, and she is much taller. When I looked closer on that picture – just as I do when trying to see my wives through mirrors, windows and paintings – it became greenish and moved in wavy patterns. Suddenly, for a very short time, it looked like Wray gave me a “nod”. That’s a question I’ve been asking myself recently. Not because I’m on a spiritual journey with both my wives, but more because of how the world “outside my safetybubble” works. This documentary was in several acts, where the first act was the most interresting. It was about religions and how they are connected to the zodiac sign, which originated back to the Egyptians. I found that interresting. Then what is the “truth”? Is the government trying to controll the masses? Is it greed of money and wealth? When the answers are vague, nonexistent or contradicted it creates “conspiracies” from some people that question the authorities. Even when some “conspiracies” are valid through historical, documented facts, it’s questioned by someone with “higher knowledge” – often means an academic p.h.d. Why is that? Does those with higher degrees, have lost their critical thinking of historical accuracy been lost? I’m soon on to my third year with both my wives. Still, the surface is just scratched. Maybe I wont find the truth in this lifetime, but I hopefully will learn more from them in the long run. As I see it, when they think I’m ready for the next step on the development, they sure will let me know that.